Calculating your heart rate is a great way to monitor how effective your workouts are. The ideal target zone for most people is between 60 and 85 percent of maximum heart rate. This is the area where you are getting the most out of your workout while still maintaining a safe level of exertion. That being said, for well-conditioned individuals, briefly exercising at 90 to 95 percent of maximum heart rate can help increase cardiovascular fitness and reduce fat. Find your maximum heart rate by subtracting your age from 220. Working out at 95 percent of your maximum heart rate increases your level of cardiovascular fitness -- essentially, increasing the strength of your heart and decreasing the amount of work your heart has to do to pump oxygen to your muscles. This can be very beneficial for increasing longevity and lowering your resting heart rate. Exercising at 95 percent of your maximum heart rate in short segments can burn more calories overall than maintaining a steady heart rate throughout a workout. Working out at such a high intensity enables you to burn more calories during and after your workout by increasing your metabolism. After your workout, your body continues to experience a metabolic increase and still reaps the benefit of your high intensity workout for many hours after you have finished. Interval training allows you to safely integrate this high level of exertion into your workout. 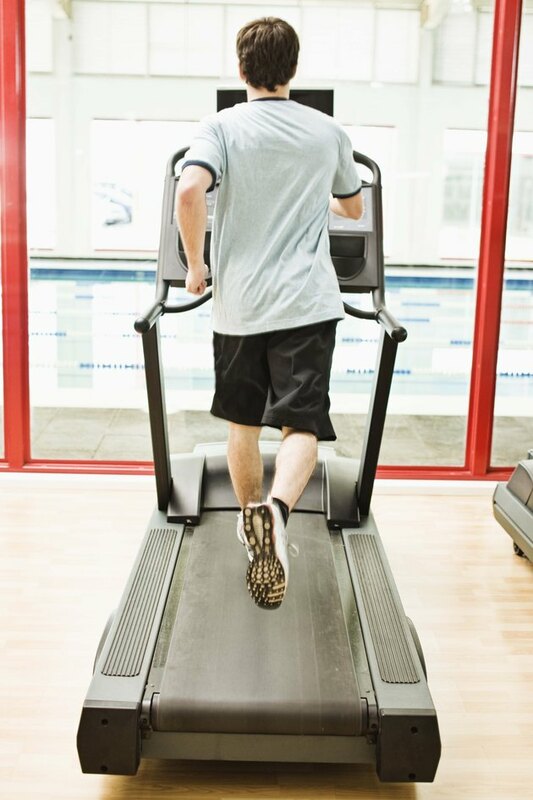 Interval training works by allowing you to reach varying intensities of exertion throughout your workout. For instance, sprinting at 95 percent of your maximum heart rate for 30 seconds, then working out at 70 percent of your maximum heart rate for three minutes. Interval training allows you to get the effects of working out at a higher heart rate while maintaining safety throughout.